5. I love the colour of this dress. Also, I bet it is nice and twirly! 4. These prints of RuPaul's Drag Race contestants by Chad Sell are so cool! 3. I love my dreamcats calendar from last year so I'm tempted to get this one to replace it for 2013. This colour would look pretty great with our walls. 2. 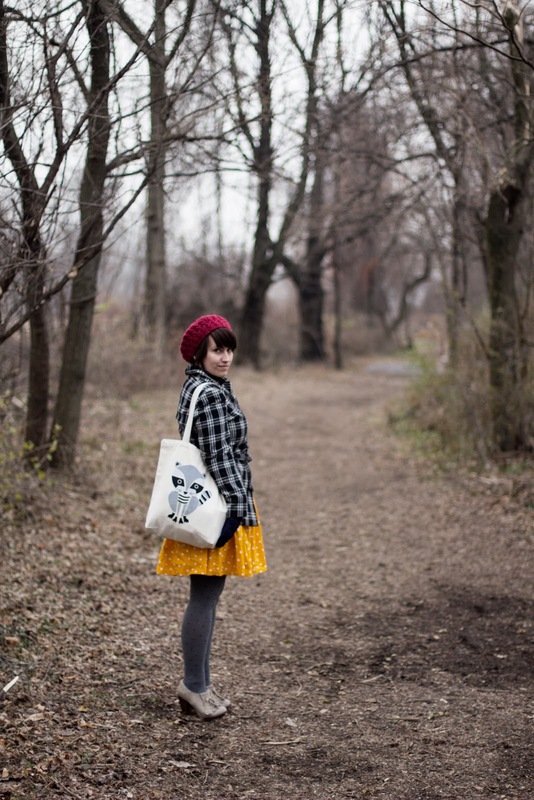 This Diana from ModCloth is so cool! 1. I love this outfit that Katherine recently wore on her blog. Such a good combination of colours. I have a super busy day ahead of me with no time for slacking off so I better get moving. I'm pretty excited because I see some snowflakes falling and it almost looks like it might get a bit sunny today. ooooooh that camera is super cute! It's going to rain and (maybe snow) all day man! that modcloth diana?! i'm crying. so good. That camera is super cool! And I love Katherine! Her outfits inspire me every day! That dress is super adorable! (and I am in love with that camera!) hint hint Santa! Hope you have a good holidays!!! Aw, can I just say how much more I love you now that I know you like RuPaul's Drag Race! I love that show. My friends and I do our own version of a fantasy league when it's airing. Hi Elycia! I saw this video and thought of you and Kaylah! Hope you have a great Christmas!